Another article on wine tasting in South Africa, we hear you ask? Well fear not, as we’re here to subvert the genre and bring you a selection of the quirkiest, most scenic, unique and affordable winery experiences in Western Cape. From wine tasting on a game reserve in Franschhoek to tapas tasting overlooking the Tradouw Valley, there are many ways to shake up the average wine tasting session and experience a day you’ll never forget. Due to the ubiquitous nature of wine tasting in the Cape, vineyards are constantly striving to come up with the next best thing. 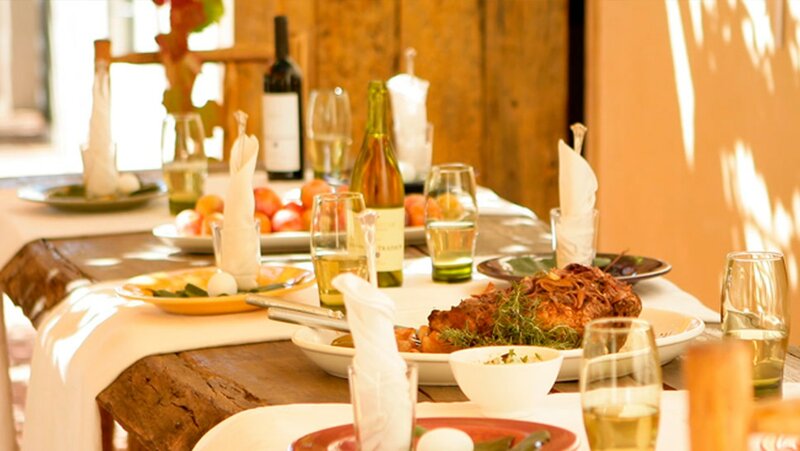 Each winery will have its own fascinating history, wine-making process, and unique selection of varietals, but many go above and beyond by adding food pairings, horse riding, and even game drives to set them apart from the rest. If you’re looking for wine-tasting with a difference, then we’ve got you sorted. 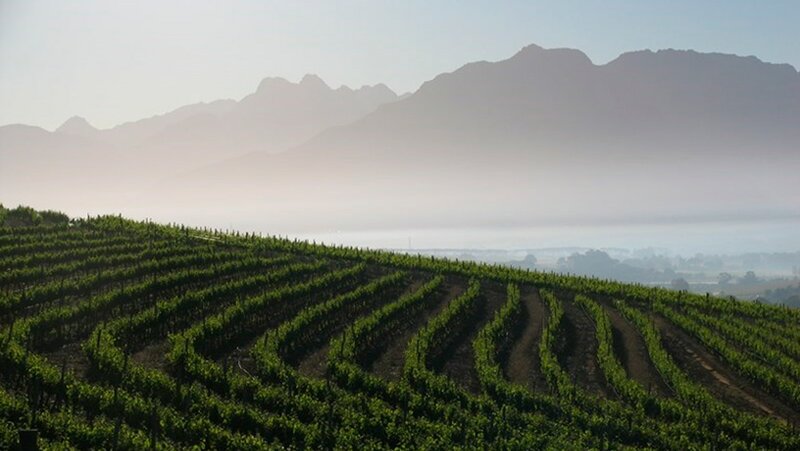 Read on to find out about the history of wine-making in Western Cape, and what makes the landscape so well-suited for wine production. As always, let us know if we’ve missed anything or of any other interesting wine experiences in the Cape – we always want to hear from you! Thanks to the comprehensive diaries of Dutchman Jan van Riebeeck, a navigator and colonialist who formed the first Dutch settlement in Cape Town, we have a very accurate description of how the wine industry was initiated in Western Cape. According to Wines of South Africa, the first South African wine to ever be made was on Sunday February 2nd 1659, using French Muscadel grapes. Riebeeck believed the wine would prevent diseases in sailors as they travelled across oceans, and therefore increased production with the hope of improving trade in the region. His intentions were good, but he was a little off the mark with the healing powers of wine! 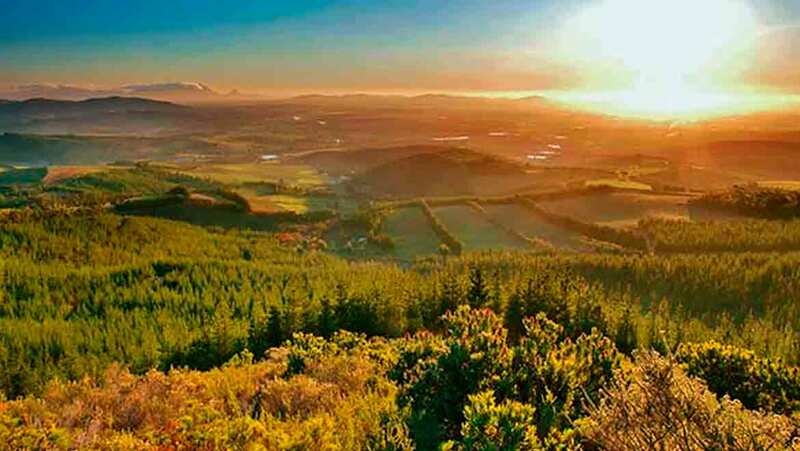 Settlers soon realised that South Africa’s Mediterranean climate was ideal for planting grapes, and many acres of vineyards began being developed in the Constantia region. The wet rainy winters and dry summers with plenty of sunlight meant the yield was incredibly high, and before long the farmers had more grapes than they knew what to do with! The late 17th century and early 18th century were great years for the Cape wine industry, seeing exports to Europe pick up swiftly and the reputation of South African wine spread across the globe. 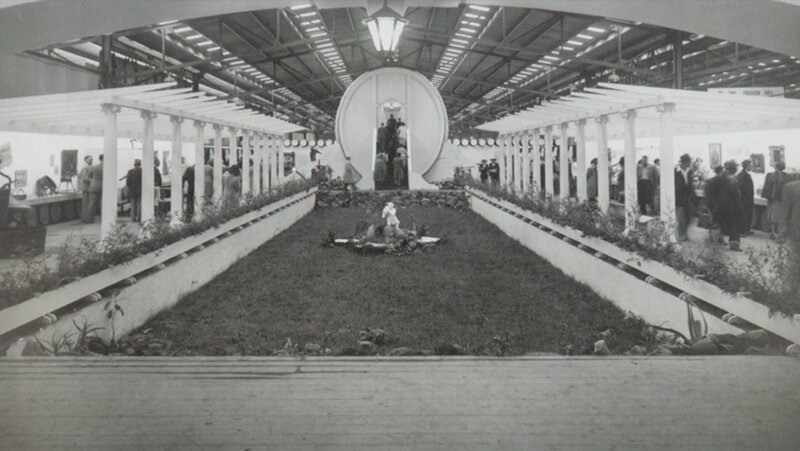 Unfortunately, the huge yield of grapes started to become a problem, and by the 20th century many farmers found themselves to be destroying much of what they were producing because the demand did not meet the supply. Enter KWV. Established as a co-operative of vintners dedicated to revitalising the wine-growing industry, KWV set a minimum price on wine and bought up any excess production to reduce wastage. Once apartheid induced sanctions had been lifted, the industry took off once more, becoming the hub of wine quality and innovation that we know today. As more and more visitors flocked to the Cape in search of warm weather, great food, and friendly people, the number of wineries increased and started offering ‘experiences’ on top of simple wine tasting sessions. In this article we’ve put together a list of wine tasting experiences that we think you’ll love, starting with the aforementioned KWV! 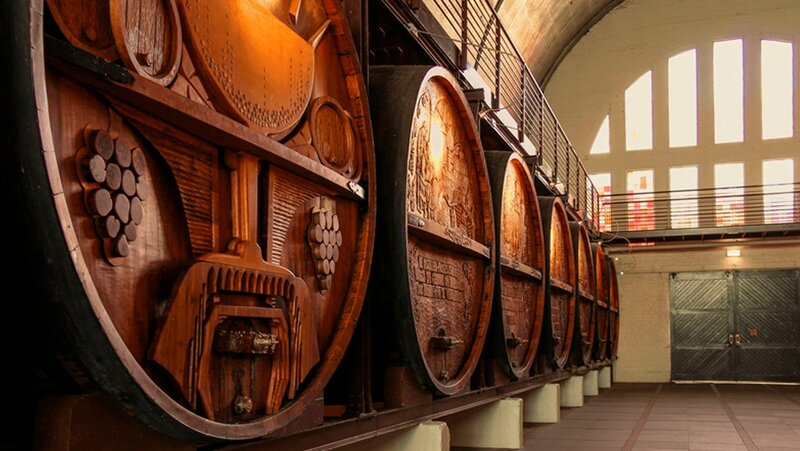 Since KWV practically rescued the wine industry single-handed, we thought it only fair to include them at the top of the list with their fun and informative Art & Wine Pairing experience. Located in their KWV Sensorium, the gallery exhibits a large collection of unique pieces from South African artists, including artwork by Francois Krige, Irma Stern, Marjorie Wallace and many more. Wine and food pairings are not difficult to find these days, but wine paired with art? If anyone can make it work, it’s KWV. Whilst perusing the colourful paintings you’ll be treated to a selection of their award-winning varietals that have been specially chosen to match the emotions and sensation evoked by the art. Alternatively, they also do a brandy and chocolate pairing, a tea and chocolate pairing, and a sweet wine and cake pairing! Located in the Klein Karoo region, Joubert-Tradauw is a miracle vineyard that proved the harsh climate and dry soil of the karoo could be sustainable for wine production. Where many dared not go, owner and award-winning vintner Meyer Joubert decided to persevere with the location and created not only delicious and plentiful wine, but a famous R62 wine that is now sold all over the world. 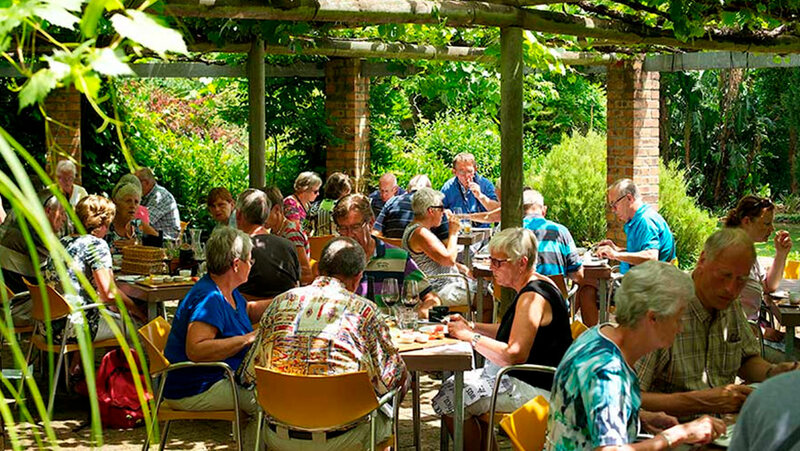 As well as top quality varietals, Joubert-Tradauw is famed for its Mediterranean style tapas restaurant called the R62 Deli Alfresco. Dine on Klein Karoo tapas including maketaan, spanakopita, rosemary and lemon chicken, tzatsiki with pumpkin seeds, tapenade, a mouth-watering chocolate cake and other desserts, all washed down with superb wine. Their wonderful food can all be enjoyed overlooking the picturesque Tradouw Valley – a feast for the eyes and the belly! 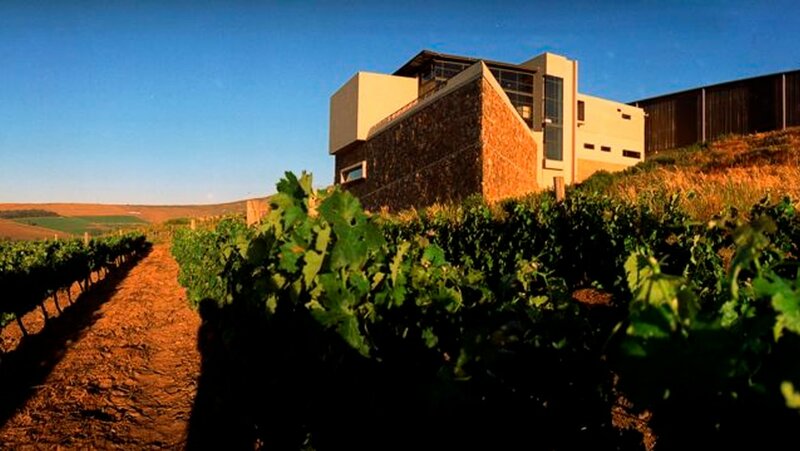 If you were paying attention in the history section of this article, then you will have noticed wine was first produced in South Africa in 1659, and this vineyard was established in 1685. Yes, Klein Constantia is one of the oldest wineries in the country, and is still producing incredible wines to this day with a focus on Sauvignon blanc and Chardonnay. Also described as one of the most beautiful vineyards in the world, Klein Constantia offers a range of tasting experiences starting with their Classic Tasting, Premium Tasting, Sauvignon Blanc Terroir Tasting, and Klein Constantia Winemaker’s Library Selection. We would recommend taking your experience to the next level with a private tasting in Duggie’s Dungeon, named after the father of the current MD, Duggie Jooste. Feel the history amongst the ancient brickwork as you sip on Vin de Constance – bliss! Visit Durbanville Hills Winery for a fantastic wine tasting with great views of Cape Town, or join their knowledgeable staff for an utterly unique wine safari across Table Mountain. Journey along sandstone cliffs and through forests of cork and oak trees to a viewing platform at the top, where several historic cannons that were once used as ship signals still sit. Here your guide will present a variety of wines from the estate for you to taste, alongside some gourmet nibbles to keep your energy up. 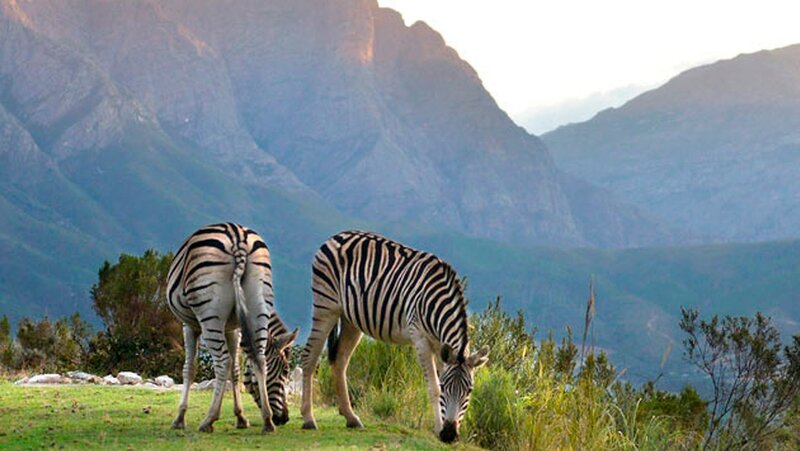 There are few wine tasting experiences that can compete with the Table Mountain Wine Safari in terms of scenery and breath-taking views, making this outing perfect for tourists who want to revel in all that Cape Town has to offer. All this for only R500, there’s really no excuse! Located in the heart of the Cape Winelands, De Waal Wines is a scenic estate rich with history and culture. With impressive views in all directions and a stunning manor house at its core, the winery is as beautiful as the wine it produces, most notably their signature Pinotage. During the summer, on a Saturday once a month the vineyard hosts a Top of the Hill Fun Walk, inviting guests to join owner Pieter de Waal on an entertaining and informative stroll through the grapevines to hear about the history of the estate. A tasting is included in the vineyard, then a further tasting at the house before indulging in a delicious cheese lunch with South African dishes and local preserves – and another glass of wine of course. Wine tasting in Stellenbosch doesn’t come much better than this, but spaces are limited so hurry! We mentioned a winery on a game reserve, and we’re here to deliver. Perched atop the Franschhoek Valley, Chamonix is a sprawling estate that offers overnight accommodation, fine dining, exceptional wines, and a closeness to nature that you’ll struggle to find elsewhere. With a 50 hectare game farm located on site, you can indulge in a signature wine tasting at "The Blacksmith's Cottage" then hop in a 4x4 and enjoy a guided safari through the reserve, looking out for springbok, ostrich, bontebok, eland and zebra as you go. The views across the valley are sure to take your breath away, stretching for miles in every direction with great sloping hills and mountains towering in the distance. The Wine Tasting and Game Drive experience at Chamonix is a fun day out and suitable for those with children who aren’t interested in the wine! Purchase gift certificates here. When it comes to biodynamic wine-making and organic growing processes, Avondale are leading the way in terms of innovation and sustainability. 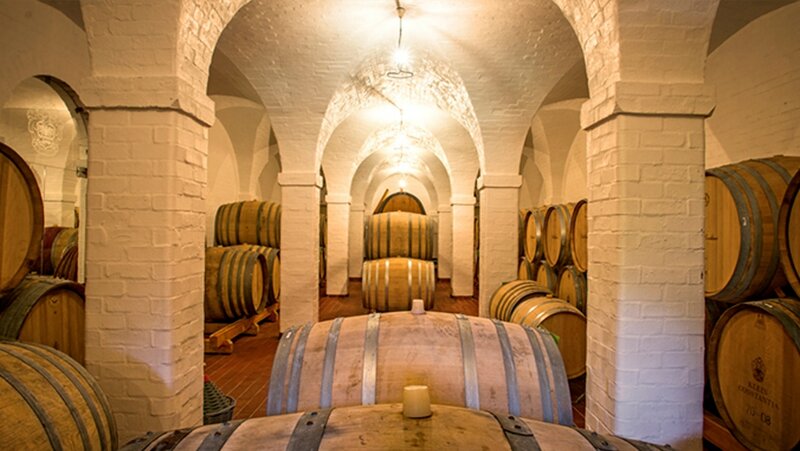 Their prized feature of the estate is a unique ‘gravity-flow cellar’ that makes use of cool underground temperatures, therefore reducing costs and energy wastage for a more efficient and environmentally friendly production process. 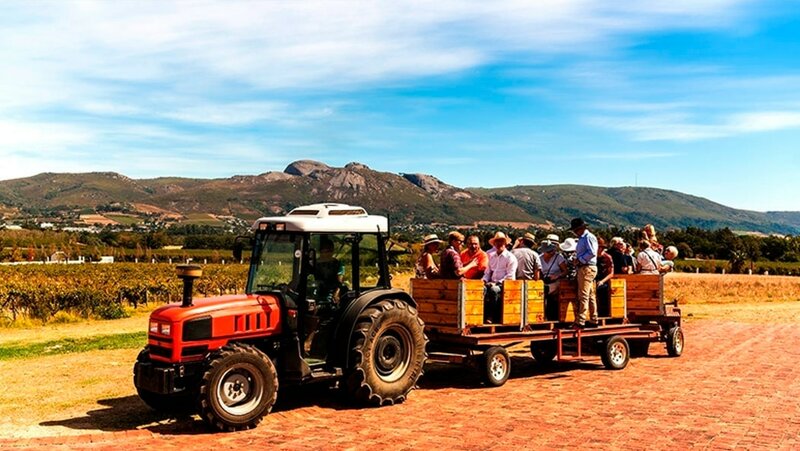 Discover the cellar and much more on a unique Eco Wine Safari through the farm, learning about their history and ethos on a purpose-built tractor-driven wagon. The experience includes a tasting at the start to welcome everyone in, and another in the vineyard with the Klein Drakenstein mountains as a backdrop. The tour ends at the Avondale art gallery, full of wonderful pieces from local artists and others around the country – try some more wine or simply enjoy the paintings, it’s all exquisite! You can also purchase Eco Wine Safari gift vouchers here. Yes, you read correctly, cupcake and wine pairing. Founded by one of the original creators of the Stellenbosch Wine Route, Delheim is a stunning estate that is positively dripping in history dating back to the 17th century. Hospitality and good food are at the core of their beliefs, so what could be more fitting than the ultimate comfort food – cake! For only R100 guests will receive four tastings of Delheim wine, specially curated to showcase the best they have to offer. Cupcakes are baked fresh each day and include exciting flavours like pumpkin & vanilla, African makataan, and rooibos tea, designed to enhance the flavours of the wine and tantalise your taste buds. With friendly staff and beautiful surroundings, you’ll never want to leave! 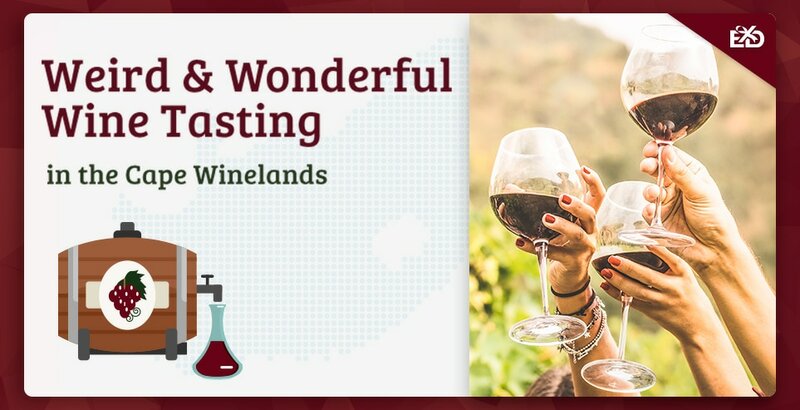 With every year comes new and exciting additions to the wonderful world of wine in Western Cape, and we can’t wait to see (and hopefully try out) what the wineries come up with next. You can talk about wine tasting endlessly in South Africa, but it takes a truly special establishment to stand out amongst the rest, whether that’s by shaking up the production process or blending wine with art and culture. Vineyards must strive to differentiate themselves from others and remain relevant, particularly in the modern era where information is so readily available, and tourists are on the lookout for unique experiences – so with any luck we’ve given you some great ideas in this article. It may be an ancient craft, but winemaking is one of those trades that will never cease to exist as long as those who are passionate about it continue to practise the art – and we very much hope they do, a world without wine would be a sad one! That concludes our article on unique wine tasting experiences in the Cape, but if you know of any others that you think we’ve missed please let us know – we’re always on the lookout for new ways to drink wine!